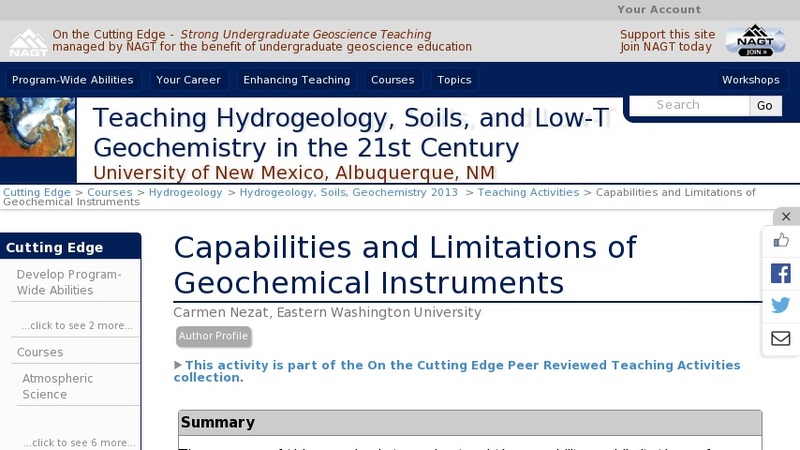 The purpose of this exercise is to understand the capability and limitations of several instruments (AA, ICP-OES, ICP-MS) used for geochemical analysis. Students compare and contrast the cost, detection limits, etc. of these instruments.